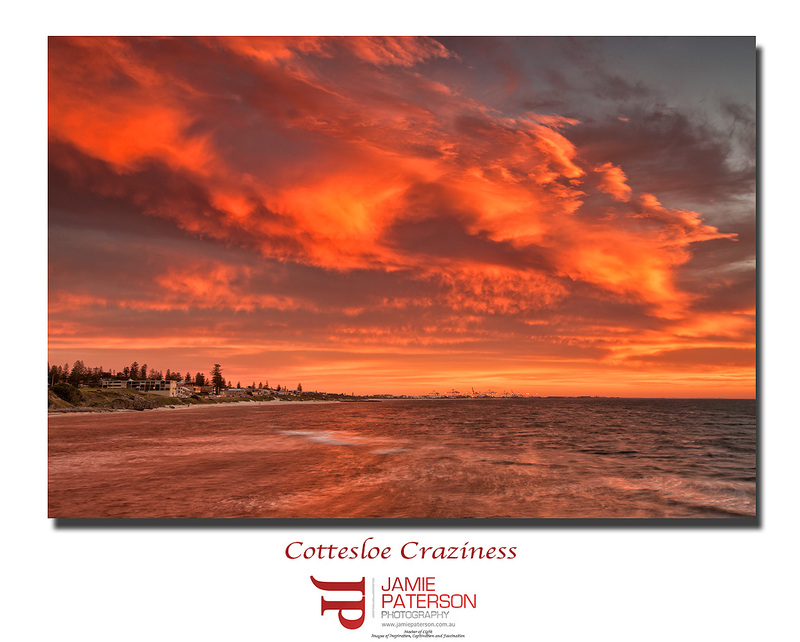 This entry was posted in Australian Landscapes and tagged australian landscape photography, australian photographer, cottesloe beach, cottesloe beach sunset, seascape photography. Cracker colours there mate…it was somewhat different over at Rotto, but still good! Stay tuned! Thanks for that mate. It was just awesome. I was running up and down the groyne like a mad man! Look forward to seeing yours from Rotto. Hi Jamie, I agree it was a cracker of a sunset. Loved the glows colours on everything. Hey Graham. Thanks mate. It was amazing. Did you get out and about? Yeah I hear you there. I’ve got a 19mth old and a 3yr old. It certainly makes getting out and about challenging to say the least. Hi Paul. Don’t be spewing mate. Your star shot was awesome. I’d love to be able to do something like that! Cracker! All the Best for 2012! Thanks very much mate. All the best to you as well. Hey AB. Thanks very much mate. Really appreciate that. I hope you have a great 2012 and lots of success. Stunning sunset and sky there, no wonder you were/are stoked with this ! The clouds even match and compliment the coast within the composition. Hi Tony. Thanks very much mate. It was certainly one of the best sunsets I’ve seen in a long time. All the best for you in 2012 as well. Hi Adrian. Thanks very much mate. See you soon. Hi Luke. Again I really appreciate your comments mate.